Isfahan’s glory days are young, within the last thousand years, but a nice shaded place to set up shop is a luxury in any period! 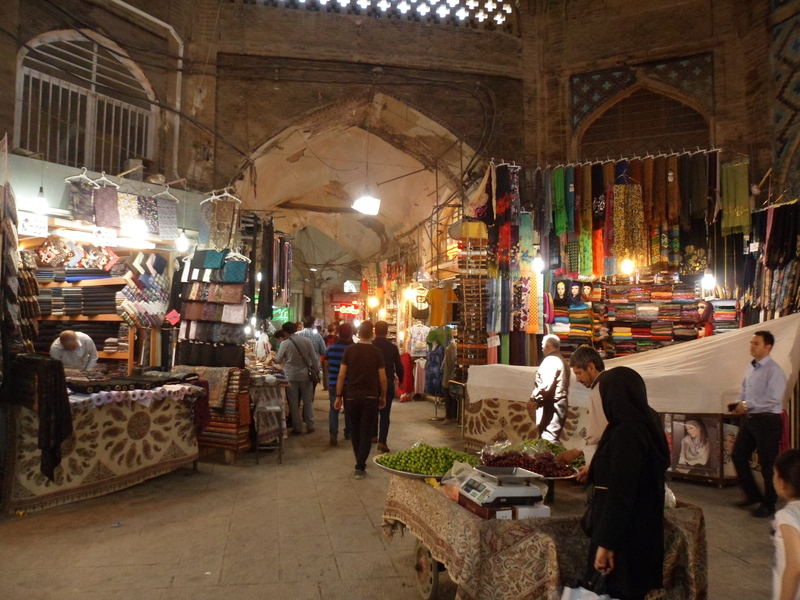 Photo of the Old Bazaar in Isfahan by Sean Manning, May 2017. Gamers and novelists often want to know something which historians are not eager to answer: how much did practical things cost in the past? Historians of older periods tend to be very aware of the limits of a source which just says “five pounds of iron nails worth thus-and-such,” and admire the work of specialists in recent times who construct methodical serieses and statistics and turn them into charts with lines and inflection points. But characters in a short story or an adventure game are much more likely to buy a drink or a sword than ten bushels of barley. The writers of roleplaying games almost never have time to do the research, unless the game is set in very recent times and they can mine their collection of old Sears Catalogues and Baedekers. (Also, their customers tend to become just as attached to “a longsword costs 15 gold pieces” as they are to “magic missile always hits,” and in our decadent and decimalized age they sometimes revolt against something as simple as pounds/shillings/pence). So this week, I thought I would honour the release of Matthew Riggsby’s GURPS Hot Spots: The Silk Road with a list of some resources which I have found.